The Yacht Clubs of Weymouth is the umbrella organisation for the yacht and sailing clubs in Weymouth, Dorset, England. Weymouth and Portland Cruising Association located in Weymouth Marina, are associate members. In addition, the Weymouth and Portland National Sailing Academy takes part in planning the sailing activities in Weymouth Bay and Portland Harbour. 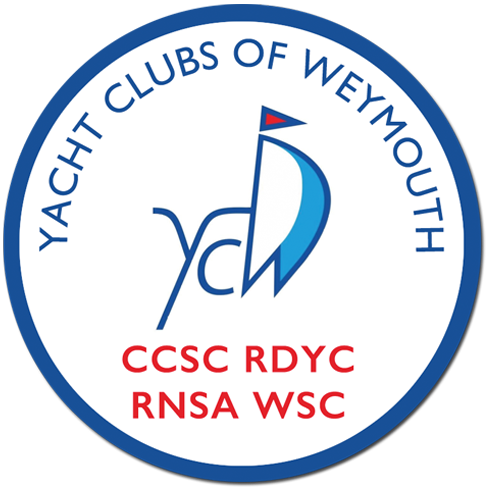 The Yacht Clubs of Weymouth is a forum for the clubs to talk about matters of mutual interest. It also organises regattas for dinghies and yachts and various local series, championships and open meetings. The excellent sailing waters of Weymouth Bay and Portland provide a beautiful and safe area for racing. With little tidal effect and low traffic movements makes Weymouth Bay one of the best racing areas in the UK. Weymouth is a seaside town and home to a sheltered, clean and safe beach. Also the Lodmoor Country Park provides several attractions and amenities. Portland also provides a natural playground and makes up part of the World Heritage Jurassic Coast. In short there is loads to do around the town and local area off the water.